Come over to our office with the free shuttle bus that goes back and forth every fifteen minutes around-the-clock between the arrival hall and rental car lots. When you exit the customs area, continue straight ahead and outside the airport entrance. From there, you walk through a covered footpath and at the end of the path you will find the shuttle service. 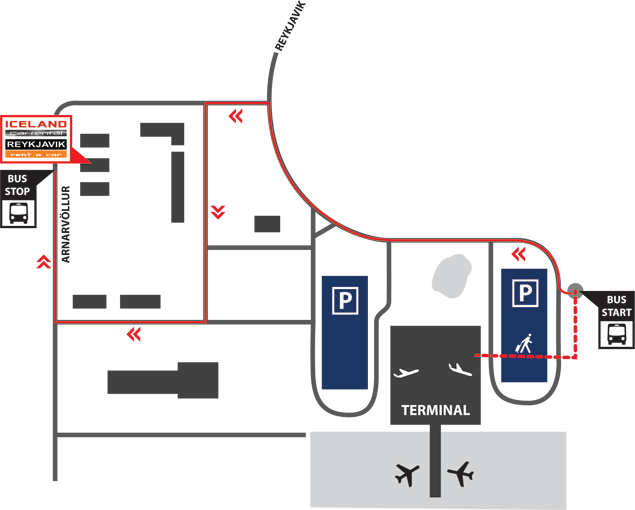 Our rental office is located very close to the airport at the 3rd stop. 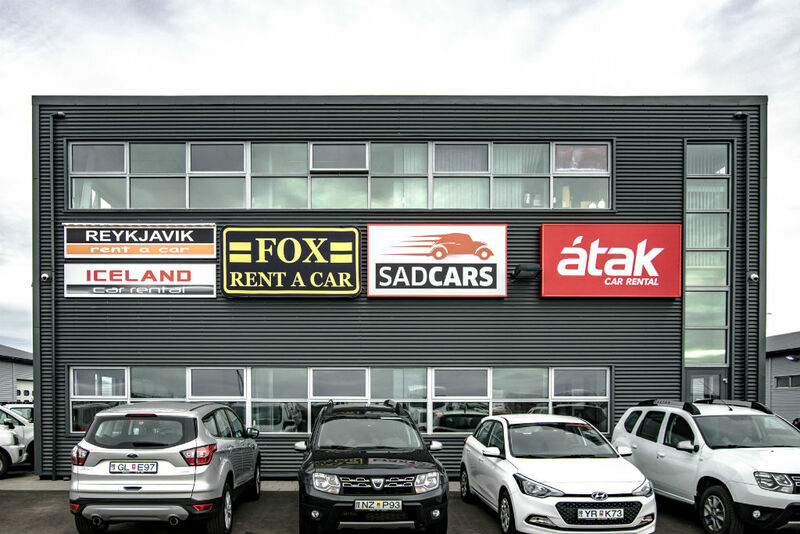 Our office by Reykjavik KEF airport is always open for pick ups. If you are dropping off a car at night during our office season you can leave the keys in the drop off box.